Chinese Smartphone manufacturer Vivo has released a teaser for new smartphone. 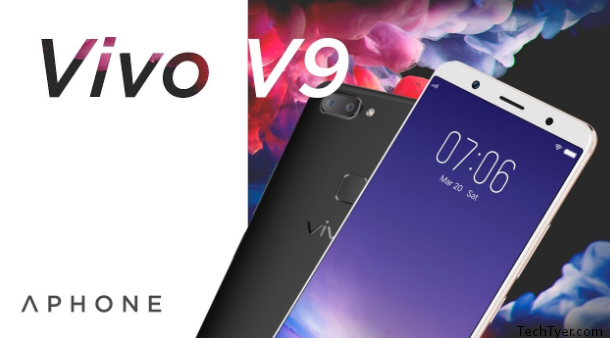 This teaser is the company’s next flagship Smartphone Vivo V9 which will be launched in India on 27th March 2018. Since the introduction of the iPhone X, Nokia’s stimulated design leaked smartphone is coming. Images of Vivo V9 is similar to Nokia X smartphone device. This Smartphone will completely bezelless and will look alike the an iPhone X. Vivo Malaysia Twitter has also establish the teaser of this Smartphone. Apart from this teaser has been launched in other countries too. It billboard has also been installed in Indonesia. Vivo V9 has a 24-megapixel selfie camera and dual rear camera. According to reliable sources the price will be around 25,000 rupees in India. At the moment it isn’t clear what will be specifications. It’s clear from the picture that it has the same screen as the iPhone X and will be given a notch in it. If you don’t have an idea about it then there are many sensors on the display of the iPhone X for which there is space given which called notch. It’s worth noting that Vivo has recently launched Apex Smartphone which is currently in concept. The Apex Full View Smartphone has three special features which the company has highlighted. First of all it has half-screen display in this fingerprint scanning technology. This means that more space has been provided for these display fingerprints in the bottom of the screen. The second feature is a selfie camera which pops from top to bottom. It can be done inside when not in use. As third feature company has said that the Redux speaker has been given and it is inside the display. In the front of this Smartphone you cannot see anything except the display in broadly. Above the iPhone X, there is a notch in the display which takes a little space of the display while the Mi Mix 2 has a bit of bezel in the bottom and its front camera is also there.